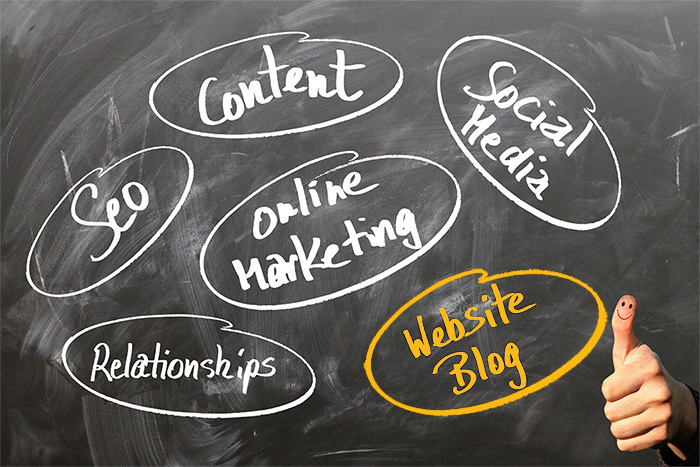 It’s an old concept, but there are many reasons behind why just about every business with an online presence does it – business blogging is an effective marketing tactic. First of all, you may be wondering, what is business blogging? Aren’t all blogs the same? The short answer is no, business blogging is quite different from regular blogging. Regular blogging is usually a hobby venture or the blog itself is the primary business. Whereas business blogs serve to support the growth of your business. Business blogs aim to draw in new visitors and turn them into leads, or customers for your main business. The more content rich pages your website has, the more chances you have to rank in search engines. Sure, you create new pages every time you upload new images – which is good combined with effective keywording. But blog pages rich in quality textual content can draw in a wider pool of visitors and create stronger signals to search engines. It’s important to understand, that simply creating blog pages that lack depth and don’t provide interesting content will not do – poor quality leads to poor user experience which could actually be detrimental to your site and cause search engines to view your pages as spam. On the other hand, quality content can create opportunities for your site to rank in search results and can build a stronger audience who may in turn share your pages through social media channels. And remember, every new blog post has the potential to work for you in the short term and the long term. In the short term you might attract existing customers back to your website, or get views through sharing your blog post on social media. In the long term, if you consistently output quality content, your blog posts can bring in visitors through ranking in search engine results – thus generating a stream of visitors over time. Blogging provides a means for you to demonstrate the personal side of your business, which can generate trust in your visitors towards your website and the products you offer. 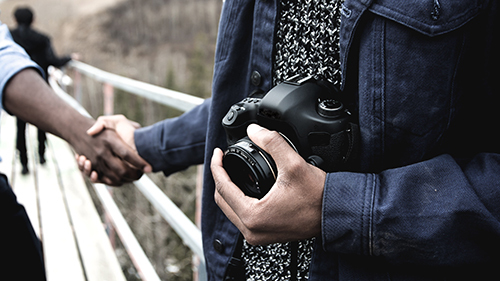 By sharing insight into your passions, issues of importance and your unique personality, you build trust and increase your brand’s likability. This may be especially important for independent digital stores as we are dealing with a target audience who have long established comfort with mainstream stock agencies – increasing trust in your brand serves as a way of hooking and converting these customers into YOUR customers. Every time you publish a blog post, you create a new opportunity for yourself and your audience to share your blog with other people. Every post is something new to tweet about, or share on Facebook, or link to from Google+. Social media is a proven powerful marketing tool and adopting the strategy of sharing not only exposes more people to your content, the inbound links generated tells search engines ‘Hey! Look here because other people are!”. 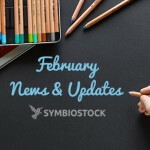 And something important to keep in mind is the powerful opportunity you have through our Symbiostock community to connect with other independent artists and work together to share each other’s blog posts. Imagine the potent search engine signals that you could produce by teaming up with other artists and working together to do something as simple as sharing each other’s blogs through social media! Blogging is a low cost marketing strategy, all it takes is a little bit of time and dedication. We’ve outlined some of the major reasons why blogging makes sense and why you should start a blog, or if you already have then keep at it for your Symbiostock site. There are other benefits of blogging, some of which you can learn about in this Small Business Trends article. Business Blogging Ideas – What can you blog about? You can also look at other business blogs to develop ideas and to figure out the kind of voice you want to present in your blog. This is not to say that you should write about the same things, or the same way that other people do – it’s to help you gain insight on the possibilities that exist. As a professional and an individual with a lifetime of experiences, you can inject your knowledge and unique perspectives into your blog to create something original and reap benefits for your business. So challenge yourself, take action now and increase your marketing potential with blogging – its a simple & proven strategy!